With its choice of options, the Sensaflex family offers you the exact seat for every function. 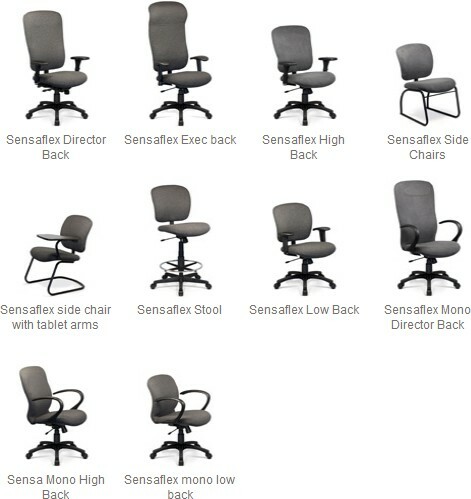 Broader, more comfortable than most task chairs, Sensaflex offers four back heights, its own base design, a variety of armrests and a 'deco' tailoring option. The monoshell design is also available with four backrests heights, same choice of armrest and the optional stitched 'deco' upholstery. Ideal for conference rooms.